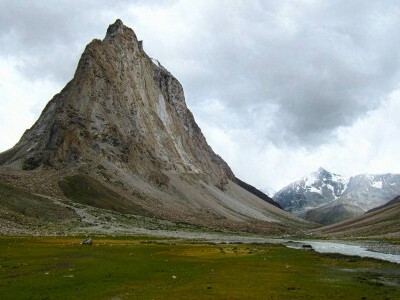 Majestically rugged, the greatest attraction of this mountain-hemmed Ladakhi-Buddhist spectacular valley, Zanskar, is simply getting there, on a trek or on a pleasure trip. This trek traverses lush green foothills of the Kullu valley to the high-altitude desert of Ladakh. While this tough and challenging route tests our endurance and stamina, it also provides unforgettable experiences and a wonderful array of cultural and natural splendor besides vivid panoramic views that stick to our memory. Closed to outside world for centuries, Ladakh lies high in a remote region of western Himalayas. In this part of Buddhist India monasteries overlook landscapes of snow-clad peaks, plateaus and deep valleys. Our itinerary traverses the mountain roads and the world’s highest pass to some of Ladakh’s most isolated locations. 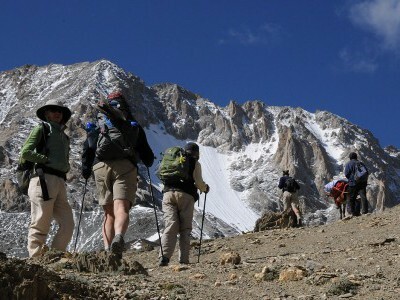 A challenging trek that covers remote Ladakh and Zanskar areas with steep ascents and winding descents across high passes and deep gorges lined with multi-hued rocks and villages, dotted with white mud-brick buildings and Buddhist monuments. In short, it provides abundant spectacular experience, both in raw nature and deep culture. This is a challenging and extremely rewarding journey by bike, crossing five passes including the world’s highest, Khardung La at 5,602 metres. This carefully planned itinerary combines spectacular scenery, a great variety of landscapes and rich cultural interest to give a fabulous experience of India’s this beautiful Himalayan region.